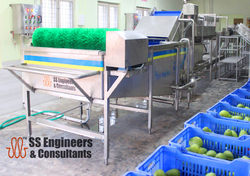 Manufacturer of a wide range of products which include post harvest vegetable and fruit plant and machinery, vegetable grading conveyors and fruits & vegetables drying conveyor. In agriculture, postharvest handling is the stage of crop production immediately following harvest, including cooling, cleaning, sorting and packing. The instant a crop is removed from the ground, or separated from its parent plant, it begins to deteriorate. Postharvest treatment largely determines final quality, whether a crop is sold for fresh consumption, or used as an ingredient in a processed food product. 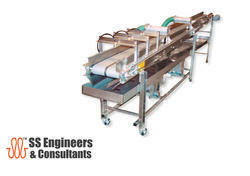 We offer you the Fruits & Vegetables Drying Conveyor which help you to increase the efficiency. 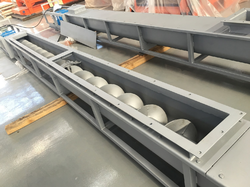 This type of conveyors will reduce or eliminates the mist while cooling down the hot die castings or forged articles it replaces water quench so that cooling timing can be reduces so the in motion cooling can be more faster.